Will mobile phones be the future for cash payment? Will mobile payment usher in a cashless society? Are services like Western Union threatened by mobile payment? These are all the questions that Aditya answers in this podcast. Aditya Menon is Chief Information and Technology Officer of Obopay India. He started the US company’s India operations. Obopay is a comprehensive mobile payment service that lets you instantly get, send and spend money anywhere, anytime using a mobile phone. He was previously CIO of YES Bank. Prior to this, Aditya was Group CIO at MphasiS. 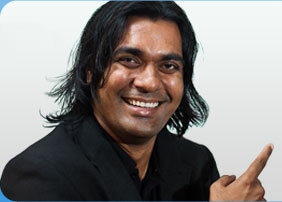 Aditya has 20 years of experience working in the field of banking software product development. , specially in the payments and cash management domain. He was a pioneer in the field of electronic payments and banking, launching the first PC based high value payments systems in 1986 for global banks like ABN and Standard Chartered Bank. Let’s listen to Aditya talk about Obopay.